We live in a pretty incredible era in terms of skin care. There are so many brands, products and advancements that have been made over the past 5-10 years in the skin care industry. It definitely seems like now more than ever more people understand the importance of taking care of their skin with the help of quality skin care products. Personally, I’ve been using skin care products consistently since I was in middle school. I learned early on the difference the right products can make on your skin’s appearance and health, especially as someone who struggled with breakouts rather regularly. As I’ve gotten older I’ve adjusted the products I use to adapt to my skin’s needs, particularly focusing on adding anti-aging products to my routine. Our skin is the largest organ in our body, and it’s also the organ that’s exposed to the most. Between the sun, free radicals, and age (just to name a few) it’s not just a trend to take care of your skin properly – it’s necessary. Throughout the past year or so I have really noticed my skin looks significantly better when it is properly moisturized and exfoliated. Now that we’re in the thick of the winter season, my skin needs moisture and exfoliation even more (although truthfully I need it all year round). Since I’m not getting any younger I have opted to make both moisturizing and exfoliating focal points of my daily skin care routine. As I’ve tried a variety of different products for each step I quickly learned that not all moisturizers are created equally, particularly when it comes to moisturizers formulated for anti-aging. For the most part my biggest struggle with moisturizing products has been that they’ve felt really heavy and almost greasy on my skin. I still deal with breakouts fairly regularly (yes even at 30!) which is why those attributes of the moisturizers I’ve tried haven’t worked so well…a few caused me to have even more breakouts. Needless to say, I have continued my search for moisturizers that give my skin the moisture it needs without causing other skin concerns to surface. I like to think of myself as a determined, open-minded individual. Even though I haven’t had amazing experiences with anti-aging moisturizers I’m willing to give new products a go to see if they’re the answer to my dilemma. Recently I tried Orogold’s 24K Multi-Vitamin Day Moisturizer + Amino Acid and their 24K Multi-Vitamin Night Nourishment + Retinol. My experience has been quite impressive, too! I can admit that while I try my best to keep an open mind when I try new products I can’t help but have slight hesitation in the back of my mind. Fortunately, both moisturizing products I’ve been using from Orogold have exceeded my expectations and then some. For starters, I was excited to see that Orogold offers a day and night formula. So many skin care experts have told me about the importance of using various formulas for your AM and PM skin care routine. I understand the importance, too, because our skin has different needs in the morning versus the evening. After receiving the products I immediately added them to my skin care routine to see how they worked with my skin for a couple of weeks. The first time I used both the day and night formulas I was instantly excited to find that neither product is greasy or really heavy on the skin – the two main issues I’ve experienced with anti-aging moisturizing products. Since implementing both into my routine for a couple of weeks I have to say I’ve noticed my skin has felt and looked much more moisturized than it did prior to use. My skin has been much drier than usual, living in Chicago during the harsh winter months will do that to you! While the dryness has been frustrating it was actually a great time to test them out. Let’s dive into a little more detail though, shall we? Orogold’s 24K Multi-Vitamin Day Moisturizer + Amino Acid doesn’t just sound like a well thought out product name, it’s loaded with powerful ingredients and has been specifically formulated to protect your skin for the factors we all come across during our daily lives. The moisturizer includes amino acids, which are crucial proteins for your skin’s health. In addition to the powerful amino acids, Orogold included other ingredients like white tea extract and organic chamomile to further enhance the product and your skin. The combination of ingredients in the day moisturizer were created to protect the skin from environmental factors, keep your skin from losing moisture throughout the day AND aid in your skin having a youthful appearance. One thing that you may not realize is our skin loses a lot of moisture throughout the day when it isn’t properly moisturized, this is exactly why you need a moisturizer for your AM skin care routine that has been formulated to lock in moisture. I enjoyed the day moisturizer so much, even after the first use, I was excited to incorporate the night nourishment and I wasn’t disappointed. Typically, night time moisturizers are quite heavy because we don’t put makeup or anything over the product and we apply them prior to bed when our skin is able to fully absorb the thicker product. To my surprise, Orogold kept their 24K Multi-Vitamin Night Nourishment + Retinol consistently lightweight and non-greasy just like the day moisturizer. Don’t be confused though, just because this is a lightweight night moisturizer it doesn’t lack adding any moisture nourishment to the skin through the night. While the day moisturizer is formulated with amino acids the night nourishment, instead, includes retinol. If you’re not familiar, retinol has long been known as a powerful anti-aging ingredient as it promotes younger looking skin. However just like the day moisturizer Orogold didn’t stop with one ingredient, the night nourishment also includes green tea extract and vitamin E among other age-defying ingredients. It’s quite clear both moisturizing products have been thoughtfully curated to include powerful ingredients specific to address aging and moisture in the skin. Luckily, since they are moisturizing products they are pretty easy to use. Both products should be applied to cleansed skin. That’s all you have to do! The key with both products is to get into the routine of using them consistently, they are definitely long-term use and should be used accordingly to keep your skin well moisturized and youthful. I’m guilty of catching myself applying more product than I need, with any skin care product really. 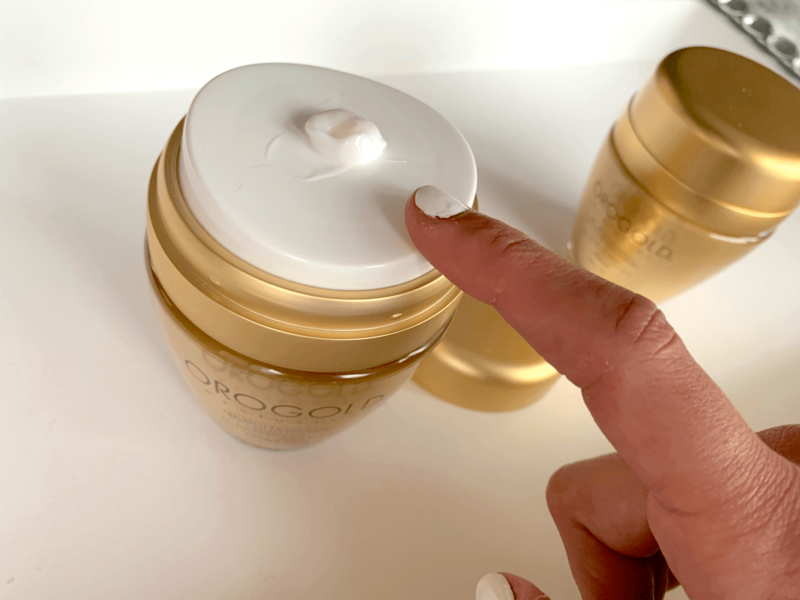 The feature I love about both Orogold moisturizers is the containers. Instead of a traditional pump you see with most moisturizers you simply push down on the top of the bottle and it distributes the product. Since I’ve been using both for a couple of weeks I find one pump is really all you need. Both moisturizers are easy to blend and because they are so moisturizing a little bit really goes a long way. So it’s a bonus you don’t have to use a lot to gain the benefits! Now that I have been using both moisturizers in my daily routine I highly recommend giving them a try for yourself if you need to up your skin’s moisture and want to aid in anti-aging. Both products are phenomenal. I have noticed a significant difference in my skin’s overall hydration and moisture since using them. I have not had any additional breakouts and my skin doesn’t feel greasy from the intense moisture, either! All around these moisturizers have made it to the top of my list. In addition to trying Orogold’s moisturizing products I also tried their 24K Multi-Vitamin Deep Peeling + Mandelic Acid. I mentioned I have really learned the importance of exfoliating my skin, so I was really excited to try this product. The reason exfoliating is such a crucial step in any skin care routine is because it helps to eliminate any dry, flaky skin, and give you a deeper clean for any excess dirt/oil that’s on your skin. Although cleansing your skin daily gets rid of a lot of these factors it can miss some and that’s where exfoliating comes into play. Most of the exfoliating products I’ve personally tried have been a mask which is why the deep peeling product was so intriguing to me. Now if you’re anything like me, you’re wondering what ‘deep peeling’ actually means. Well, with Orogold’s deep peeling it is an exfoliating gel. This particular product has some really unique ingredients including vitamin C, mandelic acid and bamboo stem powder, just to name a few. The deep peeling product has been formulated to help skin get a deep, fresh clean by well…exfoliating. Some exfoliating products can be rough on the skin but the combination of ingredients Orogold uses offer a gentle exfoliation to the skin. Like I said I have never used an exfoliating product like this so I made sure to follow the directions included on the packaging. Fortunately it’s another Orogold product that is easy to use. All you do is apply the gel onto dry, clean skin and begin rubbing in circular motions. Once you’ve rubbed the product all over your skin thoroughly simply rinse it off with cool water. I want to stress the use of cool water here. The second time I used it I made the mistake of using warm water and it was slightly harder to get all the residual product off of my skin so do yourself a favor and stick to cool as instructed! Because this is a gel exfoliator you do want to be sure your skin is nice and dry. If your skin is wet it’s harder to feel like the gel is really gripping onto the skin to give you that nice deep exfoliation. Now it is really important to keep in mind that you should not use this product more than once a week. Even though exfoliating is extremely beneficial to our skin’s health, you can also over exfoliating if you use it too often. Orogold suggests only using the deep peeling once a week, I would not stray from that recommendation. Keeping in theme with the moisturizing products, a little bit goes a long way with their deep peeling. I suggest starting with a little and adding as needed to get the hang of how much gel you actually need. Something I really loved about the deep peeling product is even after just the first use my skin instantly felt softer. This is something I love about exfoliating products and the reason I know they play such a vital role in everyone’s routine! Additionally, I have to say I’m pleasantly surprised at how much I love using a gel exfoliator. 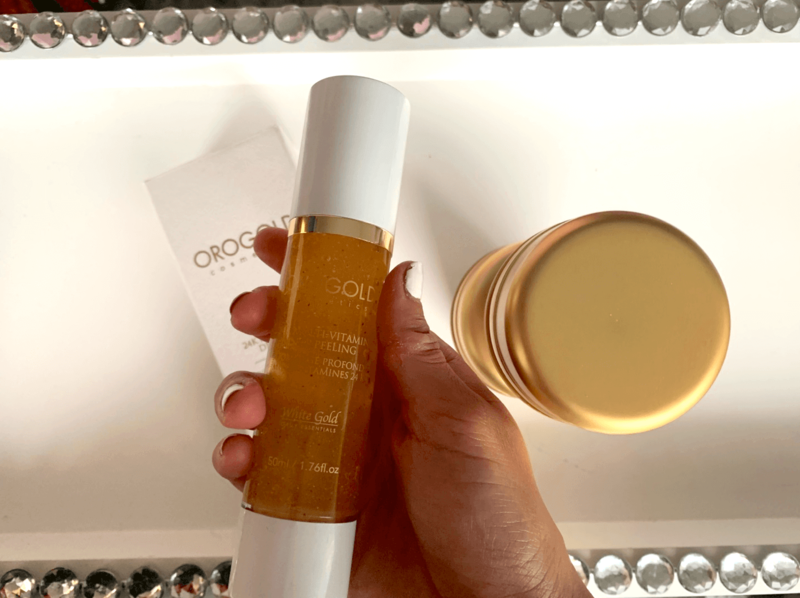 I wasn’t quite sure I would feel like my skin was truly getting a deep exfoliation with a gel-based product but Orogold knocked it out of the park! I’m fully on board with a gel exfoliator, mostly Orogold’s because it’s so easy to use and it isn’t as messy as a typical mud mask exfoliating product tends to be. Not to mention, it doesn’t take a lot of time to use. Every exfoliating mask I have used requires you to allow the mask to dry on the skin for at least 10-15 minutes. Deep peeling only takes a few minutes to get all the ‘stuff’ off the surface of your skin. That’s definitely a win in my book. At this point I have now used it a handful of times and after every use I love the way my skin feels. I noticed the products I apply right after using the deep peeling glide on even smoother and seem to really soak into the skin, too. Personally, I have found that I like to use the deep peeling in the evening so I can follow it up with Orogold’s 24K multi-vitamin night nourishment. This is definitely my personal preference as I feel like the night nourishment and its ingredients add a nice boost after exfoliating but to be quite honest I don’t think there’s a right or wrong time of day to use the deep peeling. Whether you’ve used an exfoliating product in the past or not, I highly suggest trying the deep peeling option from Orogold. 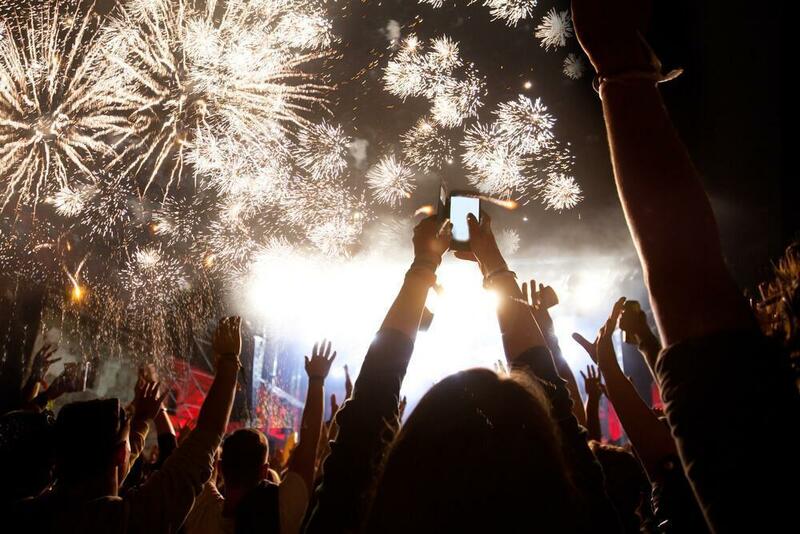 Looks so amazing! I can’t wait to try this! 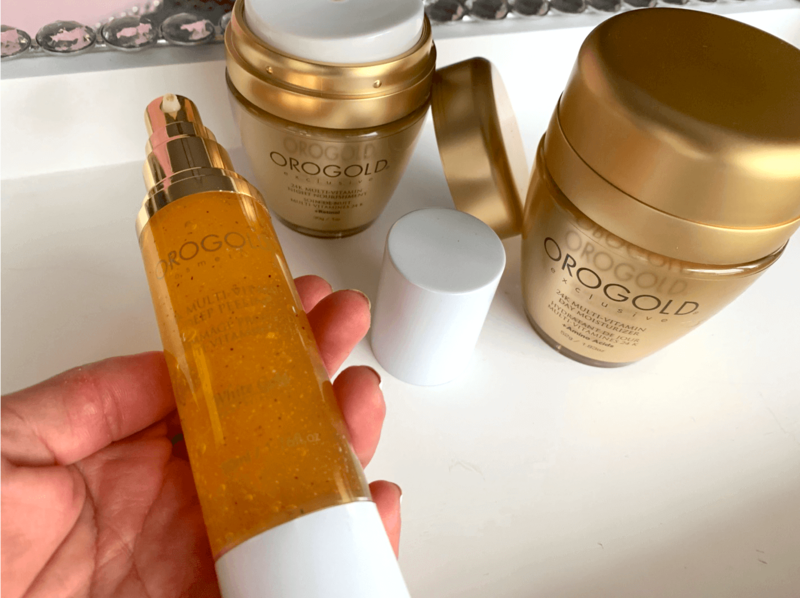 “Orogold” certainly does look amazing I have never been able to afford this product, but would be delighted if I won, if it works as good as it looks, I would be young again in no time at all. I’ve used a couple of the OroGold products and love them all but especially the 24Kt. Gold Vitamin C Serum. I love, love, love the lemony chiffon fragrance. No other skincare compares. Thanks for the skincare knowledge sharing. I use warm water often to get all the residual product off of my skin, not knowing that doing this is bad for my skin! In addition, gel exfoliator is good choice to refresh my skin. I would love to try the gel exfoliator. I have been wanting to try orogold for a while now! Especially when I read your articles. Soon I will, I hope! I’ve tried a few of their products and I really like them. Would love to try this line, I don’t know what to do with my pre-menopausal skin lately. That gel exfoliator sounds very interesting. I’ve never used one like it. Very informative article! Your products look amazing! I have used Orogold products in the past and like them very much. I think the 24K Vitamin C Serum is an essential to my skin care routine. If this works as well as ive heard then its pretty exciting!! Ill have to order if I dont win. Very generous giveaway. Love it. I love to try new facial products! This product looks amazing. I would love to be able to win this and try it! I’m thinking me and this brand could become very good friends, it looks so awesome! That’s my thoughts! I would love to try your products! I have aging and sun damaged skin that needs some tlc. I like the products I have tried very much. I just live too far away from the store where I made a contract. Wow! I’d love to try this on my skin. I love the look of the gel exfoliator, my skin would love this. An informative piece, as usual and I learnt a lot. February 13, 2019 @ 9:45 pm Diane K.
All of the products look amazing. Orogold is amazing quality. 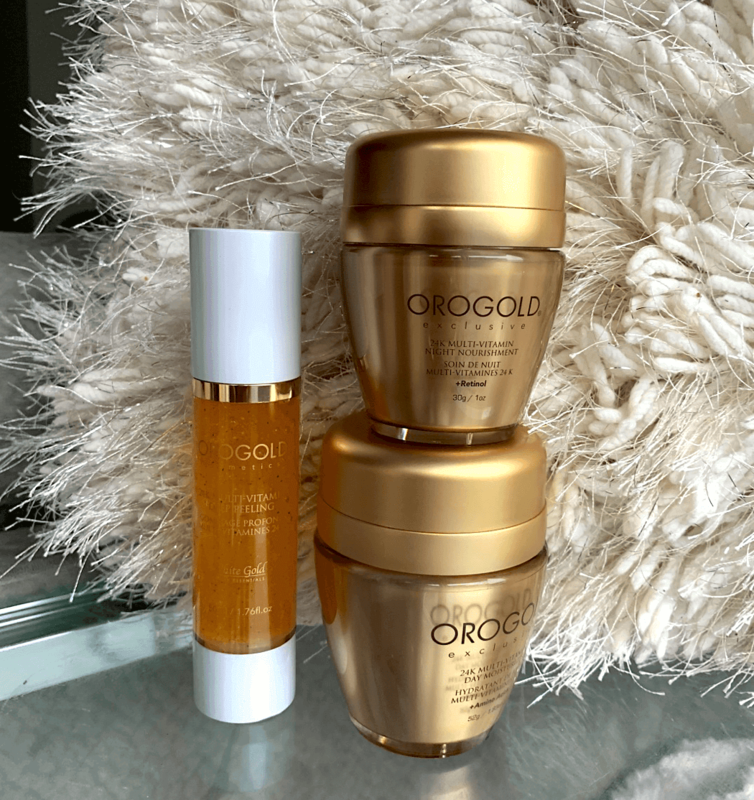 OROGOLD 24K MULTI-VITAMIN SKIN CARE sounds amazing! All of these products sound so amazing! I’d love to try them! It sounds like an incredible collection. I have loved every Orogold product I have tried. The gel exfoliation is great. My skin feels like silk after using. I would love to try these products! They are beautifully done! I would love to try these products. My skin is really dried out due to the cold weather. Looks AWESOME! Would love to get a chance to try it. It sounds awesome! I really want to try it soon.Thanks for the info. Ooh that peel sounds lovely! I would love to try the 24K Multi-Vitamin Day Moisturizer + Amino Acid as it sounds like a fantastic product. 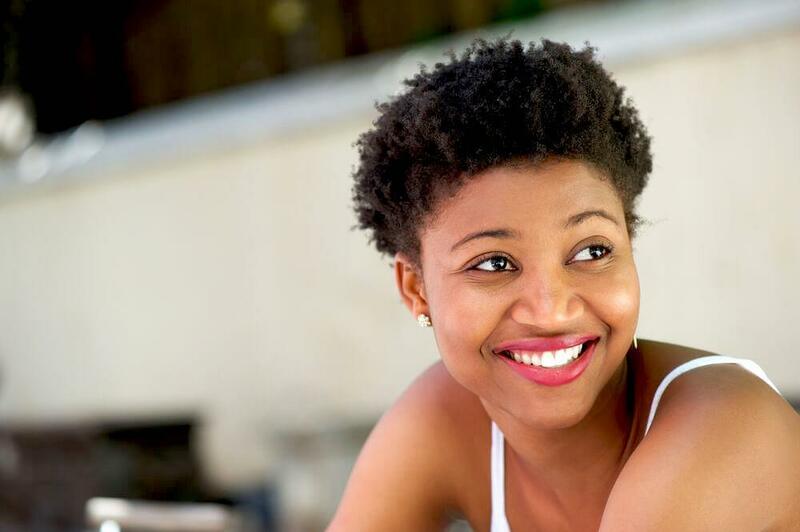 Keeping skin moisturized is so important in maintaining a youthful appearance. The gel exfoliator sounds very interesting as well. The gel exfoliator sounds awesome! I love all my results from using OROGOLD Products since Oct. 2018. Very curious to try the entire line, though I specifically like the exfoliating gel. Sounds marvelous! The gel exfoliator sounds like it would do a great job. I also like the push tops on the moisturizers. I also have tried many different anti-aging products and am always on the lookout for a product that delivers what it promises. I would love to try Orogold products. The 24k White Gold Collection sounds amazing! I’d love to try it! Thanks for the informative review. Enriched with vitamins. What’s not to love! Love it! I also take collagen, which has improved my hair and skin. I would love to try this and see what the effect is on me. Thanks! Nice – would love to try! Thanks for the brand and product info and i would LOVE to try! I love that these products contain ingredients that really have an impact on your skin. The packaging that protect these ingredients from oxidizing and becoming less effective is outstanding! Excellent Info cant wait to try it! Looks like great products! I currently use vitamin C serum and see amazing results! These products look fantastic , I would love to try them ! I’ve used many products from orogold. My favorite has to be the exfoliating gel. I have really sensitive skin so I can’t use too many exfoliating items but this one leaves my skin soft and smooth without irritation. My niece has eczema so she tends to get rough patches on her cheeks this product works wonders on her skin. Love it! Would love to try this line, the gel exfoliator sounds very interesting. Very interesting information, products look great. i want to try them soon. I was introduced today to this amazing product, the last 7 months have been extremely traumatic for me resulting in lots of stress and minimal sleep which took a toll on my body. Unfortunately it had shown most in my face (specifically under my eyes) until today!!! I feel awake, my boyfriend even was shocked at how well these products (24k dmae deep wrinkle tightening solution, 24k intensive eye serum, and I also bought the 24k multi vitamin deep peeling) worked. I highly recommend this product! I would love to try 24K multi-vitamin night nourishment + retinol. The moisturizer formulated with retinol is the key to have replenished skin. Thank you for the important skincare info! I love this product line. I really need that night moisturizer. March 11, 2019 @ 1:55 am Lindsay A.
I love how lush all the Orogold 24k products look! I I’ve used retinol products before and the 24k Multi-Vitamin Night Nourishment+Retinol looks amazing! I’ve also used various peeling products but have never tried anything with mandelic acid so I’m curious about the 24k Multi-Vitamin Deep Peeling+Mandelic Acid. Would love to try them ALL! Orogold products contain a wealth of nutritive ingredients. I hope I have a chance to try the night moisturizer.